Last year at this time, Preston had been home from residential treatment for less than a month. He was a broken, shell of a human. His inner pain and turmoil made it difficult for him to engage and enjoy activities. 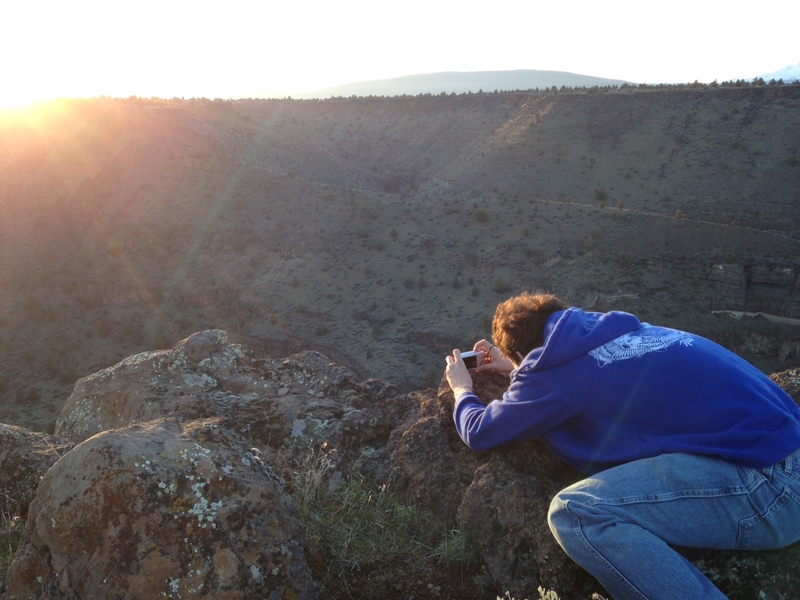 It’s rare that I think about those times anymore, however last evening as he stood on the edge of a canyon, taking photos for his photography class, I was overwhelmed by the contrast. 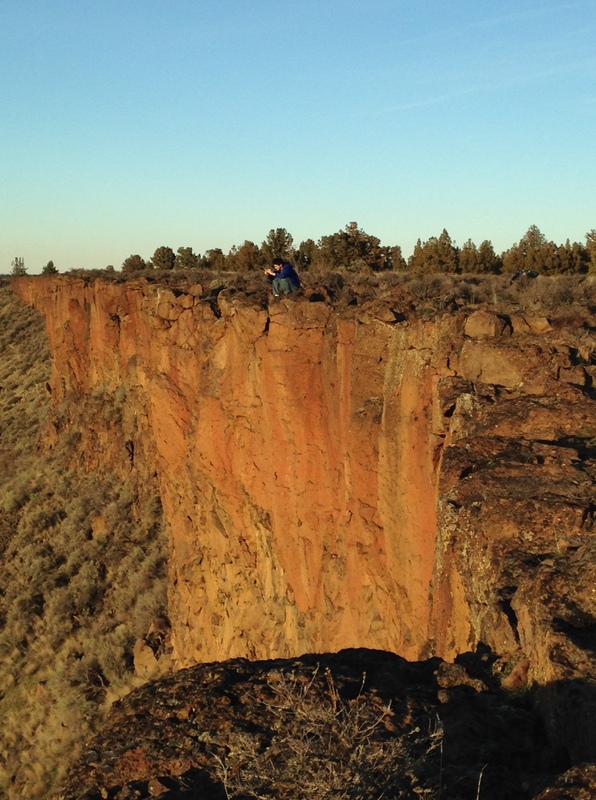 Preston perched on the edge of the canyon above the Deschutes River. While Preston’s depression was not my fault, the pressure that I put on him, certainly contributed to it. I was obsessed with grades and success and making sure that this start in life with a single mom, didn’t negatively impact him. I did things wrong. I admit it. I also admit that I learned from those mistakes and have done things differently. No longer do I focus on specific letter grades or grade point averages. I know that God intends to give him a future, I’m not obsessed about scholastic achievement, college or the like. I want him to have a well-rounded life experience with exposure to many activities so he can decide what he likes and who he wants to be. This term, Preston is taking photography. In my quest to stay involved and provide support and opportunities to him, I offered to drive him to Crooked River Ranch yesterday after school. He agreed and off we went. It’s a 45 minute drive, or so, from school. We chatted about all kinds of things on the way. It was a gorgeous day. 64 degrees in February with the sun shining brightly! Amazing. We parked at the trailhead at the Scout Camp Trail and took heed of the rattlesnake warning. They are likely hibernating but we were cautious just the same. The short hike out to the top of the plateau that overlooks the wild Deschutes River was nice. We did slog through some mud and pick our way carefully over rocks. What an adventure! Preston wasn’t disappointed. He appreciated the view and took photos down into the canyon as we made our way out the end. The moment that you can hear the sound of the rushing river coming up from below is one of my favorite parts about that hike. Of course he made me nervous as he got SO CLOSE to the edge but I tried not to nag. I still worry. I worry disproportionately to what is going on a good portion of the time. (My cells remember that day when he wasn’t where he was supposed to be and it takes awhile to let that memory fade.) Preston was respectful and didn’t do any daredevil moves to get the perfect shot. He had me stand “just so” and used me in some of his shots. When I wasn’t being used an unlikely model, I photographed the photographer. Crouching to capture the sunset. It was exhilarating to be there on the edge of the canyon, with the breeze and the sunshine. With no other humans around, it felt like we were alone in the world. It was such an enjoyable time together. It took longer for the sun to go down that we expected so we had plenty of time for plenty of shots. When the sun did go down, Preston was able to get exactly the photo he wanted. I struggle to describe my emotions…Pride? Awe? Gratitude? Knowing that I felt so blessed in that moment, I believe I was overcome with gratitude. 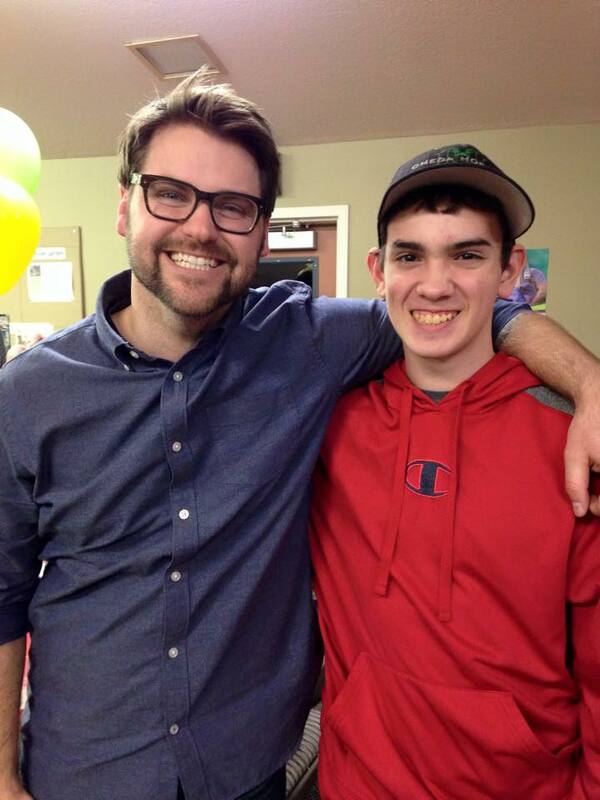 Gratitude that God spared Preston’s live and led him to be healed. Gratitude that Preston fought a hard fight and clawed his way back from the dark, into the world, filled with light again. Having the day off and making moments with memories like this is such a blessing. 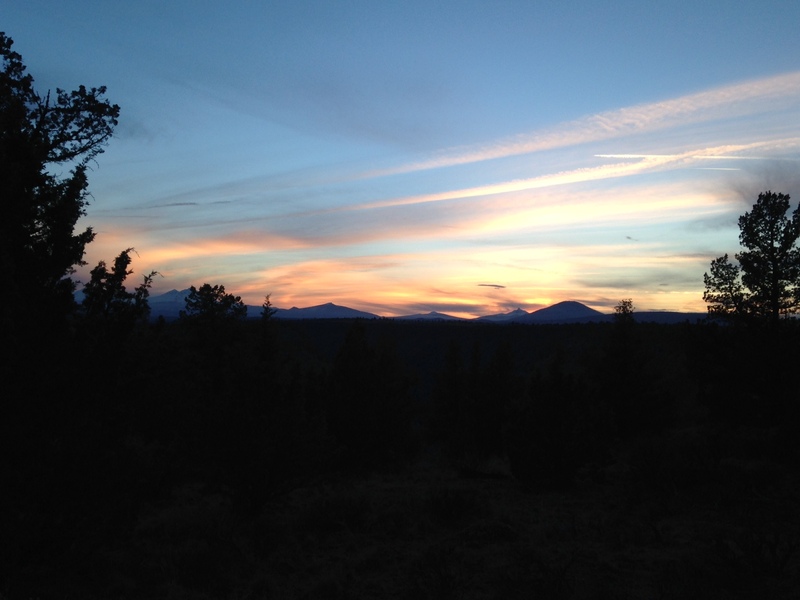 As we walked out along the darkening trail, we discussed our time and photos we had taken. I nearly had to pinch myself for the perfectness of it all. I took this last photo as we came off the plateau and headed for the car. Today, after starting the day with quiet reflection, I’m excited to take yesterday’s momentum and positivity and let it infuse today. This evening, I’ll be driving Prestont to Detroit Lake to spend the weekend with his Dad. I don’t feel resentful or bitter. Yesterday’s adventure was my time and no one can steal that joy. So blessed by the second chances and beauty in life. This sweet post is by my first mom, Caroline. Enjoy. I have been pondering this for weeks…What is my legacy? I can not seem to pin mine down.I can tell you, though, that Brian and I have a legacy together. We are living our 33rd year of marriage. We were just 19 when we married. I was searching for someone to lessen the pain of adolescence and the feeling of abandonment. I sought attention from others, hoping to fill that void. God had a plan to bring a man into my life that was created to be my husband. Adult reunited adoptee, mostly healed.